The perfect Tournament Gift is a V-Pouch Trio Pack Silver. The ideal combination of a Black V-Pouch, Sterling Silver Microfiber Greens Towel, and Black 2 sided Golf Club Cleaning Brush. 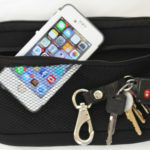 V-POUCH – Valuables & Accessories Ditty Bag Pouch safely stores your phone, keys, wallet and other valuables while playing. Collect your tees, ball markers, divot tools and accessories inside for easy retrieval. 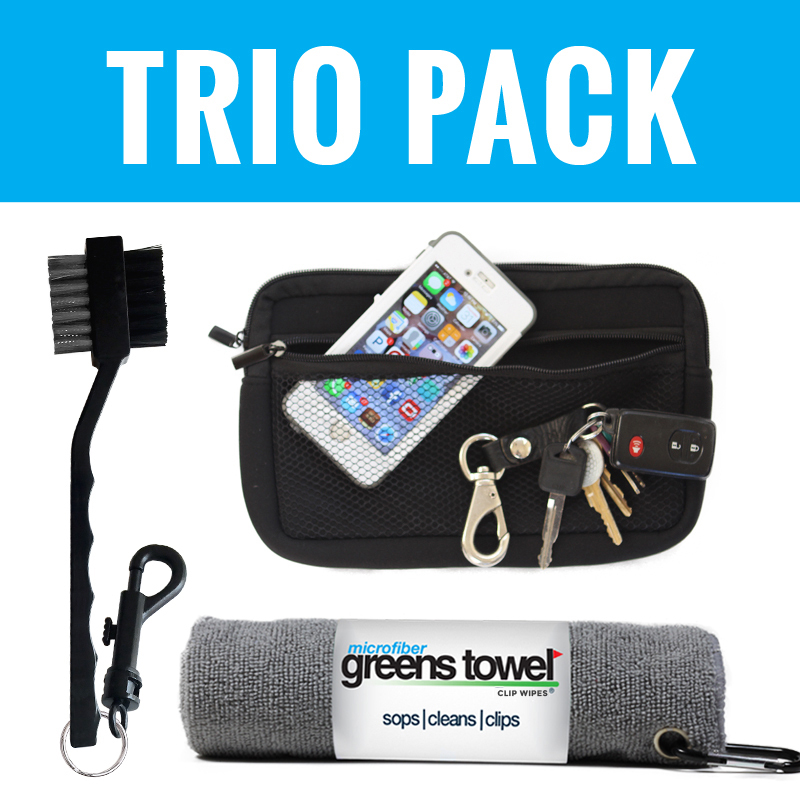 MICROFIBER GREENS TOWEL – Perfect size (16” x 16”) with Carabiner Clip that easily attaches to your golf bag. Small enough to keep in your back pocket or clip to your belt loop. Take with you to the Driving Range, Greens, and Tee Boxes. Keep clubs and Ball clean and dry for optimum results. Quick wipe equipment after a shot. “The Convenient Microfiber Golf Towel”. BLACK GOLF CLUB BRUSH – Includes thumbs down Clip- Insures you have a handy cleaning tool to remove caked up dirt on equipment so you get the most out of every shot. COMBINATION PACK SAVINGS – Save on a Trio pack combo at a great price. The TRIO Pack is one tournament gift idea that all golfers will use AND appreciate.